I've always been a fan of the ocean, despite not living near one. And I adore cetaceans, pinnipeds and just all marine mammals and animals. With water type Pokemon I find them to be the easiest to train as there is always an abundant of them per game as well as getting their water type moves very quickly as they level up. 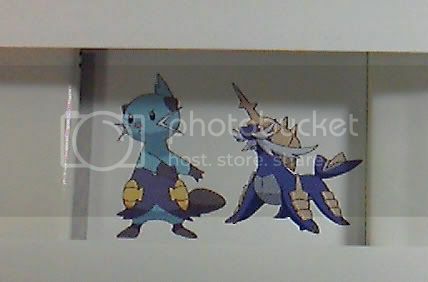 Not to mention having a surfing Pokemon readily on hand is very nice. Marill? Who could love a water rat? My love for Marill started way before Gold and Silver hit stateside. I went to see the Pokemon: 1st Movie when it was released and just fell in love with the Marill in the Pikachu;s Vacation short. Her cute girly voice really helped. I raised my first Marill on Gold, a female named Bubbles that I managed to get up to lvl: 72 that I never evolved. (I do not mind Azumarill and Marill is pretty well off in her base form) And where as I do not have a problem with Azumarill. I am not a fan of Azurill at all. As I find that the Marill line did not need a baby evolution, but eh? Got one anyway. And I've never actually ever raised a Marill from an Azurill before to be honest. A New Favorite, you say? Why it's none other than a Sea Lion! I know it sounds hard to believe but after all of these years and two other generations of Pokemon games (3rd and 4th) after Marill's debut that I would fall for another Pokemon in the newest generation. But I did. 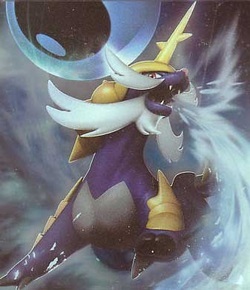 Samurott is my favorite Pokemon. I love that he is a giant sea lion with a conch shell head armor. There is something about that big blue oaf that I really feel for. As a battler, I could not be more prouder of my big 'ol Trua in my Pokemon Black game. A nice asset to any Pokemon team in my opinion.